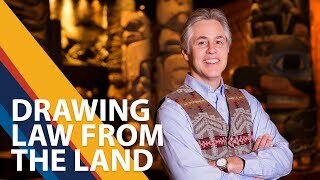 In this video, Esquimalt Elder Elmer George welcomes visitors to the traditional lands of the Songhees, Esquimalt and WSÁNEĆ people in Lkwungen and English, and UVic President Jamie Cassels gives a territory acknowledgement and talks about UVic’s commitment to redressing historical and continued barriers facing Indigenous students. UVic recognizes that colonization and associated attitudes, policies and institutions have significantly changed Indigenous peoples’ relationship with this land. And for many years those same things served to exclude Indigenous students from higher education. We're committed to redressing those historical and continued barriers. While there is much more to be done, Indigenous students are now enrolling in relevant programs at the university, and succeeding, in ever-increasing numbers. As part of our commitment to reconciliation we’re building better and meaningful partnerships with Indigenous communities, developing new programs, and working to bring our university into better harmony with Indigenous cultures, beliefs and ways of being. Indigenous people and communities are an important part of building our university for the future. More than 1,200 Indigenous students—including more than 200 graduate students—choose UVic for their studies each year. Learn about our Indigenous-focused programs, services for Indigenous students, scholarships and bursaries. 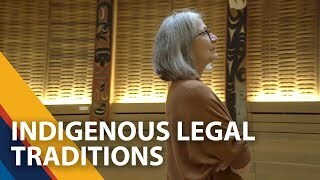 From language revitalization to Indigenous law, University of Victoria researchers are working with Indigenous communities and organizations in Canada and around the world to understand, preserve and celebrate Indigenous traditions and cultures. Val Napoleon holds the Law Foundation Chair of Aboriginal Justice and Governance at UVic, and is one of Canada’s most influential Indigenous scholars. She’s the founder of the university’s Indigenous Law Research Unit (ILRU), which is committed to the recovery and renaissance of Indigenous laws and the only dedicated unit of its kind in the country. See more videos from the Vital impact - Indigenous research playlist on YouTube. Contact the Community Engagement Manager in the Office of Indigenous Academic and Community Engagement to learn more.